P’Kolino toys and furniture are a favorite of the Inhabitots team — so we were thrilled to preview the socially conscious toy company’s new collection at the American International Toy Fair in New York. From Puzzle Stacker toys to love-at-first-sight Nesting Birds, P’Kolino’s collection of new eco-friendly baby toys has all of the bases covered with thoughtful and engaging green designs for growing tots. The Twirling Trompo Octopus Top, made in part of rubber wood from sustainably managed forests is sure to elicit a smile from your babe when you spin it — and this leggy toy will grow with your toddler as he learns to make it go-round all on his own. Another favorite for babies is P’Kolino’s Teething Rattle. This sweet natural rubber wood teether doubles as a rattle too. 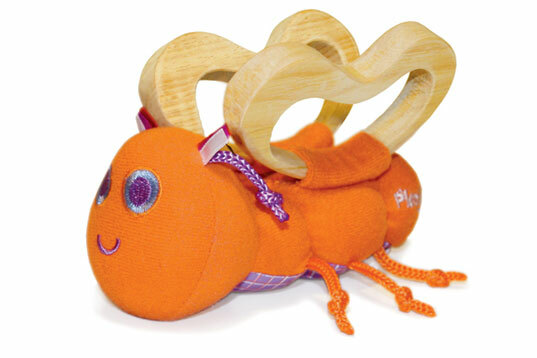 Aside from chewing on the wooden wings, we bet your baby will love tugging on this bug’s toes. A huge plus — the wooden pieces detach, so you can throw the rest in the washing machine. 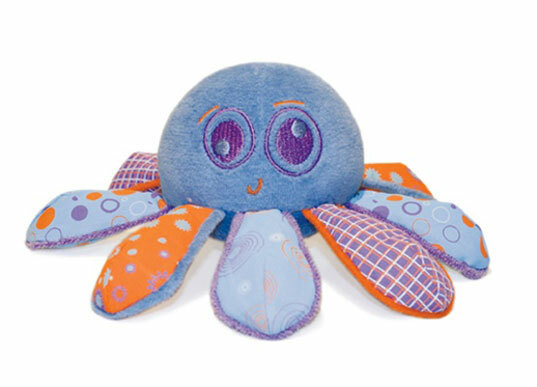 P’Kolino’s new baby toys won’t be available until May, but you can pre-order them now on their website. P'Kolino toys and furniture are a favorite of the Inhabitots team -- so we were thrilled to preview the socially conscious toy company's new collection at the American International Toy Fair in New York. From Puzzle Stacker toys to love-at-first-sight Nesting Birds, P'Kolino's collection of new eco-friendly baby toys has all of the bases covered with thoughtful and engaging green designs for growing tots. The Twirling Trompo Octopus Top, made in part of rubber wood from sustainably managed forests is sure to elicit a smile from your babe when you spin it� -- and this leggy toy will grow with your toddler as he learns to make it go-round all on his own.